Wedding rehearsals are a crucial part of the wedding experience and help ease the mind of everyone involved. The famous saying “practice makes perfect” holds true in this instance and gives everyone (including you!) an idea of where to stand, the timing of walking down the aisle and how everyone should be positioned. Although not all cultures have wedding rehearsals, we highly recommend finding the time in your busy schedule to make this happen. 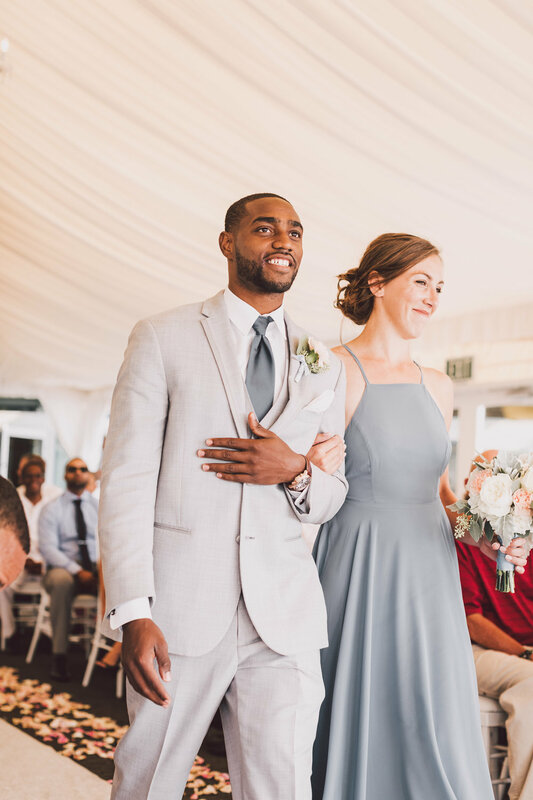 For those of you who do decide to have a wedding rehearsal, we put together these five things you may or may not know about this very popular and necessary pre-wedding tradition. If you can secure the venue space for the wedding rehearsal, you are in good shape! 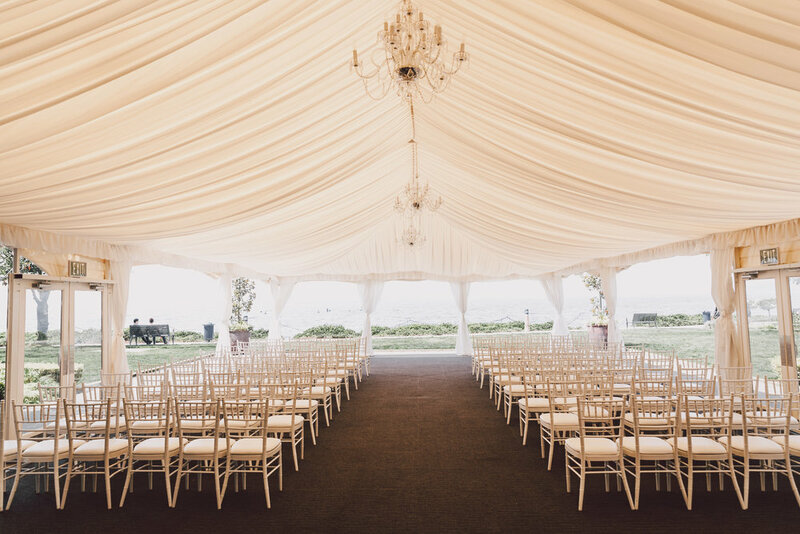 It is most ideal if you can have the rehearsal at the wedding venue so that your bridal party and your parents get a chance to see the venue and walk the venue prior to the actual wedding day. This helps you get an idea on the timing and placement of everyone in the party. Practice makes perfect and this is the best opportunity for you to envision how your wedding ceremony will play out. If you can’t secure the wedding space, don’t sweat it; find an alternative space for you and your party to practice in. Every little bit helps! First thing, make sure you know how your bridal party is walking down the aisle. Are the bridal party members pairing up? Are they walking down solo? When does the officiant walk down? 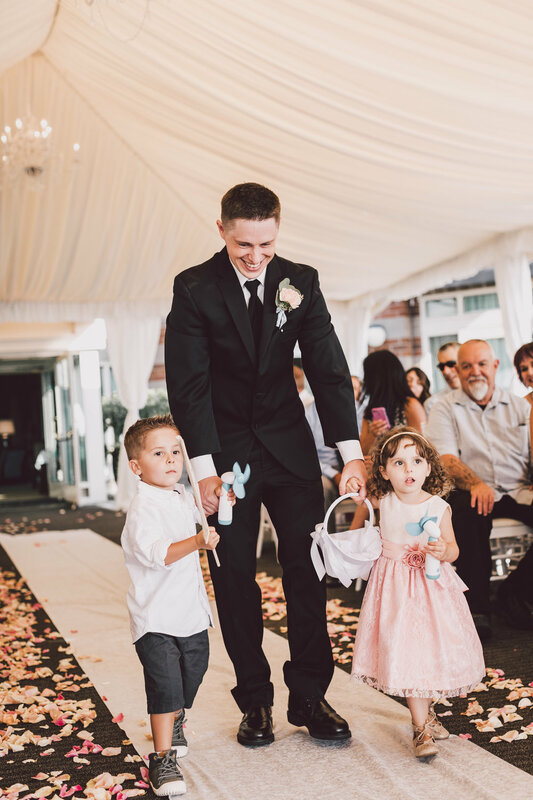 Is dad or mom AND dad walking the bride down the aisle? The purpose of the wedding rehearsal is to help confirm the order and give everyone a chance to practice so they feel comfortable on the wedding day. 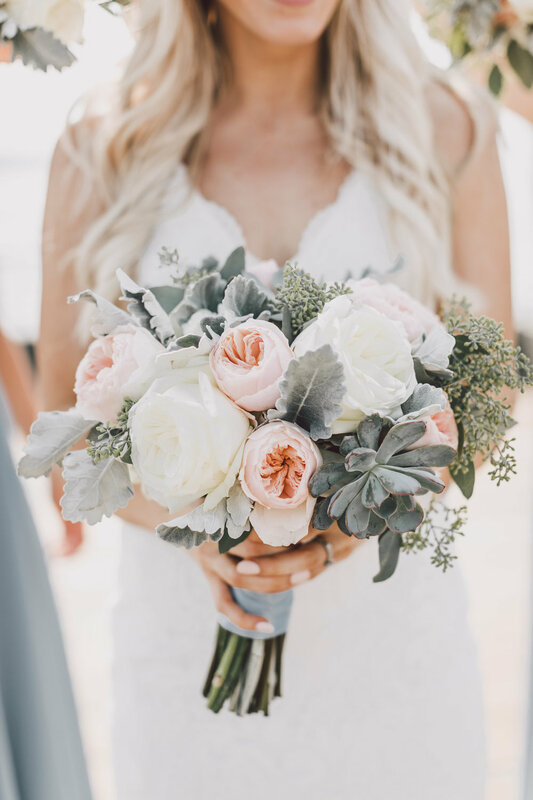 Make sure you discuss the processional order and any questions or concerns with your wedding planner and they will ensure everyone is positioned exactly how you envision it. A fun tradition is to save the ribbons from the gift wrapping at the bridal shower and make it into a bouquet for the bride to use during the rehearsal. It's a silly tradition, but it is actually really helpful. Typically after the bride reaches the altar, she hands off the bouquet to her Maid of Honor (MOH) to hold during the ceremony. After being announced as a married couple, the MOH hands the bouquet back to the bride for her exit down the aisle. We recommend the bride practices with a bouquet (or substitute!) to make sure the hand off and final exit are executed perfectly. If you are pairing a bridesmaid with a groomsmen to walk down the aisle, we always say "ladies on the left." Make sure to practice that way! Curious as to why? The bride typically stands on the left side of the altar. When the bridesmaid and groomsmen walk down the aisle and make it to the front, the bridesmaid heads left to stand with the bride and the groomsman heads right to stand with the groom. If your parents are walking down the aisle, make sure to save them a seat in the front row and consider which side of the ceremony space they sit on. We recommend to have the parents sit on the opposite side of where their child and his/her bridal party is standing. This way, the parents can see the face of their child, their smile, tears and all their nerves during the ceremony. Wedding rehearsals are fairly quick and typically last about 45 minutes to 1 hour. Our final recommendation is to celebrate afterwards! Head over to a local restaurant for your rehearsal lunch or dinner with your closest family and friends and don’t stress the rest of the day. Enjoy your final night out before you enter wedded bliss! Have questions about your wedding rehearsal or looking for some help with your wedding planning? Don't hesitate to get contact us today!